NO CHARGE Lifetime Powertrain Warranty, valid anywhere in the USA and DOES NOT require additives. There are NO dollar limitations to this warranty and it includes EVERYTHING Powertrain including Turbos seals and gaskets. This warranty is valid in all fifty states and DOES NOT require services to be completed at Strong VW for those clients living greater than fifty miles from our store. Additionally all customers can be enrolled as a VIP at no additional charge. VIP gets you Lifetime Car Washes, Lifetime Paint Touch UP, Lifetime Dent repairs, Lifetime Windshield Repairs, Lifetime Loaner Cars, and your own personal VIP concierge. ALL Lifetime Benefits No Charge just for doing business with Strong VW. !!! 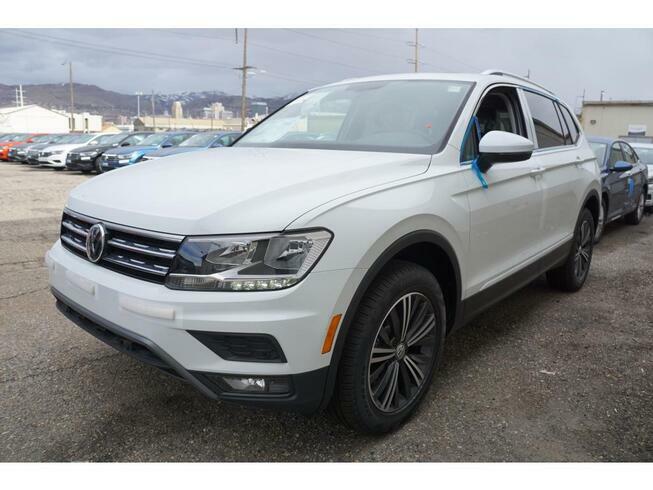 All strong prices incorporate the greater of finance/lease programs with Volkswagen credit with the option to buy out with cash at NO CHARGE. All prices are after a one thousand dollar incentive for running trade in or newer vehicle that we can resell and a one thousand dollar Volkswagen loyalty. Sale prices exclude license, title, tax, doc, collision avoidance, or any dealer installed options if any. Prices not available to WA, CA, or TX residents. Please see dealer for cash prices. While we make every effort to ensure the data listed here is correct, there may be instances where some of the factory incentives, options or vehicle features may be listed incorrectly as we get data from multiple data sources. PLEASE MAKE SURE to confirm the details of this vehicle with the dealer to ensure its accuracy. Dealer can not be held liable for data that is listed incorrectly. See store for details.